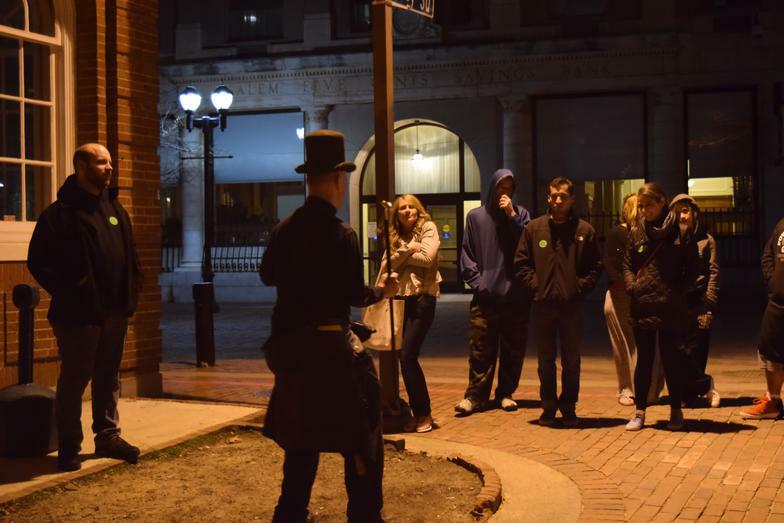 [googlec55d04f4ff487523.html] Boston's Best Ghost Tour! What should I expect from the tour? story-telling, and of course, ghost stories. We suggest to bring a camera, because we catch great paranormal photographs on almost every tour. This is an open-air history & haunts experience. The tour Takes about 1 hour and 30 minutes to complete. This is only an estimate because our tours are not heavily timed or scripted. Depending on the walking speed, or amount of questions people ask, it has been known to go shorter or longer. How much walking is it? Our walking tour is designed to be an easy stroll. Although the tour is about 1 hour and 20 minutes, we stop to talk and the total distance walked is equal to or under 1 mile. Where does Boston Night Tour Meet? The Corner of State St. and Congress St. Directly in front of the Bank of America. This location does not have an address, it is the first stop on the tour. See our map to the right. Is this a family-friendly tour? Absolutely! The tour is always geared towards people of all ages. We have never been told that the tour was inappropriate for children! Where to park, how to get there? Boston can be tough for parking. There are many parking garages available. Street parking is great if you can find it, but extremely unlikely! We are very close to public transportation. Take the Blue Line to State Street for the easiest way to get to the Boston Night Tour. 15 minutes usually, but if you are the type of person who is often late, try 30 minutes. All tours leave exactly on time. If you arrive late you will probably miss your tour.